Export to PDF – intelligent, automatic and beautiful PDF exports can now be created directly from the Web client, with selection of fast export or advanced export with customization options. Report sharing – quick report sharing feature enables sharing reports as-is internally between users with a click. Report favorites – mark useful reports as favorites for quick access. List reports – view reports as grid matrices or as formatted tables. 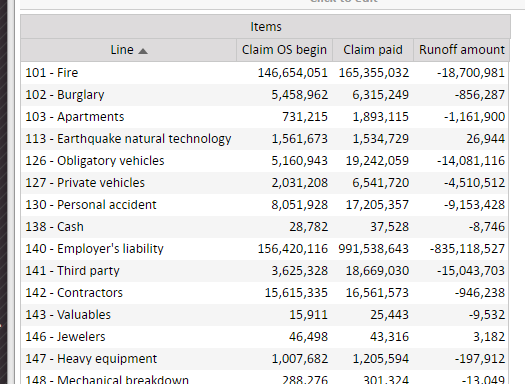 Formatted tables are especially useful for long reports, such as all policies sold in a month with their attributes. Table presets – in addition to custom color options, presents for gray, green or brown tables, enhance the look-and-feel of reports. Fluent copy to clipboard – smart copying to clipboard of table contents or charts. Drill-down menu structure – new drill-down menu structure expands an already great feature to be even easier to use. 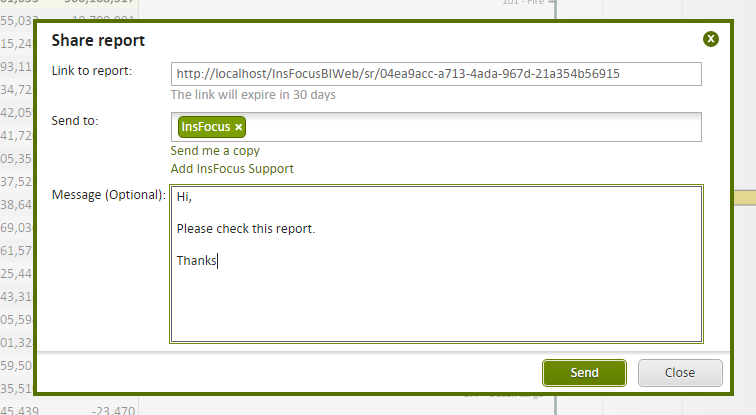 Create report from Excel – each export to Excel contains a link that re-creates the report in InsFocus with a click. UI improvements – many user interface tweaks and improvements.